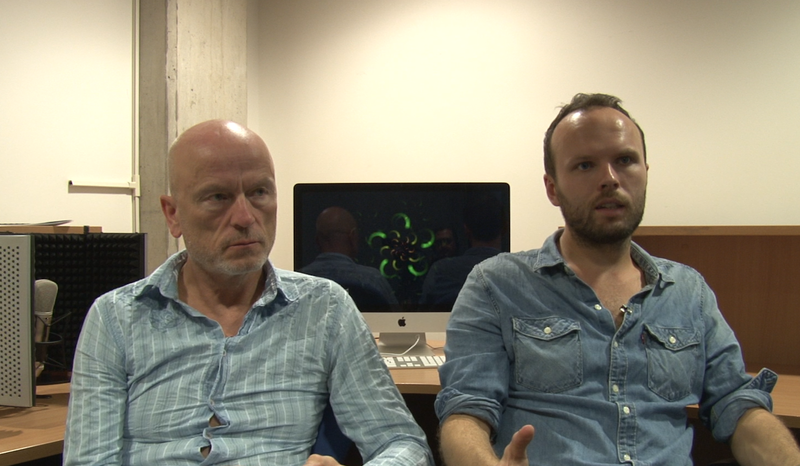 The School of English’s Prof Brendan Stone and Dr David Forrest discuss the Storying Sheffield course, which sees students from all walks of lives learning through creating digital media. Storying Sheffield is a course run by the School of English, led by Prof Brendan Stone and Dr David Forrest. It brings together a mix of English students, and people from around the city, including people from disadvantaged background, to create narratives about everyday lives. Video has become an increasingly popular part of Storying Sheffield, but other media are used, including audio and photography. David says: “You don’t have to have incredible directorial or editing skills, but simply relocating an image, and putting it alongside some sound, you completely change the stories that image may tell. It’s those kind of conceptual questions, those questions of interpretation, that any student of English Literature should be thinking about really. “Film is something that students use a lot of, but Brendan and I are keen that they don’t get too hung up about technical perfections or aspiring towards technical perfection. They think about the ideas that they can convey. David identifies the Creative Media facilities as important in the course. While both agree it was nice in a way to have a bit of “chaos” previously, David says: “When the media suite came around, and specific provisions and support became available, we could say to students ‘these are the options for you’. That’s one of the great things about teaching here it’s quite a fluid space. There’s technical support on hand if they require it. Brendan says: “The course is not about using media, but it’s a challenge that students have to overcome. In the same way that in other types of teaching, I don’t teach them how to write an essay. “Storying Sheffield is about narrative, but there’s also various transferrable skills that come out of it, and a very important one is mastering software packages, learning editing, finding visual ways of thinking about the world. The media content isn’t assessed in itself. Each student has their own blog or website, so they write weekly, embedding the media they make. As David explains: “The students still write incredible amounts, more so than they would in courses that don’t use digital media. Digital media on this course is a vehicle for ideas, it’s a use of practice and practical methods to enable a more visible means of enabling the students to reflect. So we’re not assessing them on digital media, we’re allowing them to use digital media as something else to write about.